Personally, I’m not a big fan of keyboards which don’t have physical keys, but if given the choice between a virtual full-size keyboard and the tiny virtual keys on the touchscreen of my smartphone, I’ll go with the bigger keys. 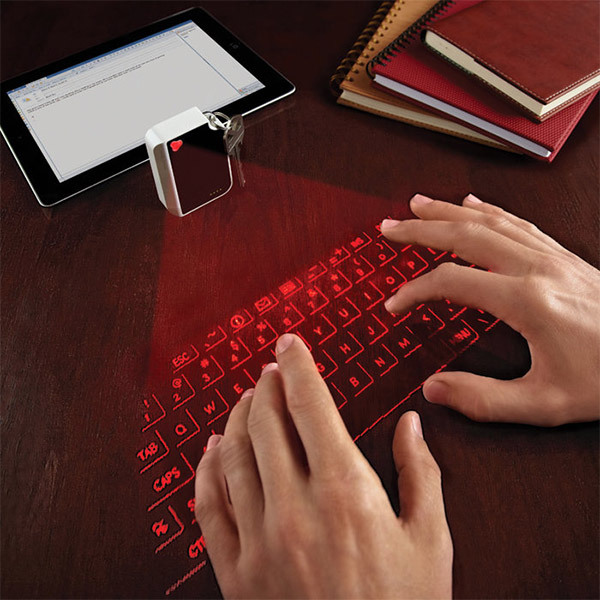 Laser virtual keyboards have been around for a few years now, but they’ve always been a bit of a pain to carry around in addition to your gadgets. Now, there’s an updated version of the virtual keyboard that’s small enough to tote on your keychain, and at a lower price than previous models. 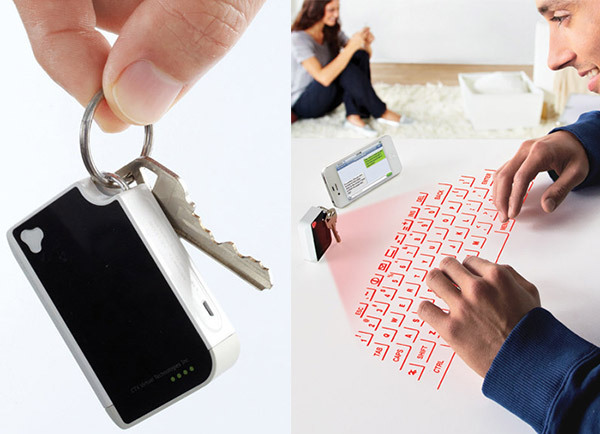 The new keychain virtual keyboard turns any flat surface into a keyboard for your smartphone or tablet. The device pairs using Bluetooth, so it should work with any gadget that supports the wireless standard. The laser keyboard runs on a rechargeable Li-ion battery, which can be juiced up through the included USB cable. While I’m not sure it really adds much value beyond the keyboard built into larger tablets like the iPad, I could see it coming in handy for any smartphone, 5″ or 7″ tablet. The keychain virtual keyboard is available for $99.99(USD) exclusively from Brookstone, and ships this October 1.